Thorium ions exhibit unique nuclear properties with high relevance for testing symmetries of nature, and Paul traps feature an ideal experimental platform for performing high precision quantum logic spectroscopy. 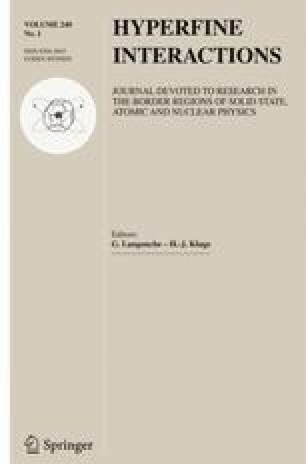 Loading of stable or long-lived isotopes is well-established and relies on ionization from an atomic beam. A different approach allows trapping short-lived isotopes available as alpha-decay daughters, which recoil from a thin sample of the precursor nuclide. A prominent example is the short-lived 229mTh, populated in a decay of long-lived 233U. Here, ions are provided by an external source and are decelerated to be available for trapping. Such setups offer the option to trap various isotopes and charge states of thorium. Investigating this complex procedure, we demonstrate the observation of single 232Th+ ions trapped, embedded into and sympathetically cooled via Coulomb interactions by co-trapped 40Ca+ ions. Furthermore, we discuss different options for a non-destructive identification of the sympathetically cooled thorium ions in the trap, and describe in detail our chosen experimental method, identifying mass and charge of thorium ions from the positions of calcium ions, as their fluorescence is imaged on a CCD camera. These findings are verified by means of a time-of-flight signal when extracting ions of different mass-to-charge ratio from the Paul trap and steering them into a detector. This work was financially supported by the Helmholtz Excellence Network ExNet-020, Precision Physics, Fundamental Interactions and Structure of Matter (PRISMA+) from the Helmholtz Initiative and Networking Fund, and we acknowledge financial support by the DFG DIP program (FO 703/2-1) and by the VW Stiftung.